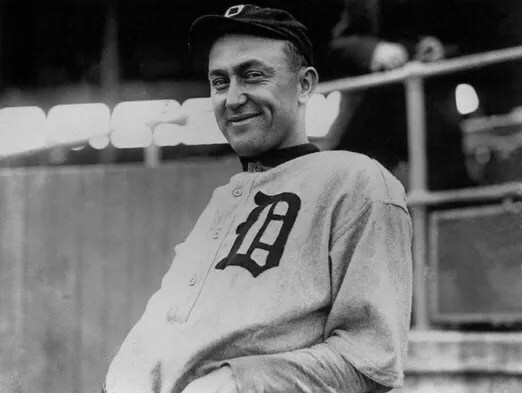 Our Facebook friend, Vincent Sartain, sent us this illuminating story from the Detrot Free Press on how the myth and legend of Ty Cobb was falsely created by a hack sportswriter named Al Stump. We wrote yesterday about Bill Cosby using Ty Cobb as an analogous comparison to how he received honors being a monster yet Cosby was ignored. This story about Cobb makes me think twice about using him as an analogy. This story also illuminates the need for facts and not emotions, myths, rumor or innuendo in discussing a person’s career or life. Thanks again to Vincent Sartain for this illuminating article. It wasn’t just baseball that was new. There was also the widespread use of electricity. The typewriter. The airplane. Moving pictures. And in those early years of the 20th Century, for the first time in history, people had enough leisure time and resources to seek out mass entertainment. What did they choose to do? They watched baseball. 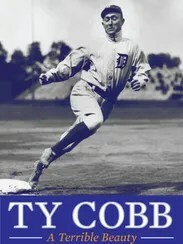 And Detroit Tigers center fielder Ty Cobb was its first star. But more than 50 years after his death, Cobb is remembered less for his astonishing ability on the field than as a monster fans love to hate. Books, plays, radio shows and newspapers have told and retold stories about Cobb as a mean-spirited egoist who sharpened his spikes to cut infielders on a slide, made racist taunts and beat up fans who looked at him funny. In the 1994 film “Cobb,” starring Tommy Lee Jones, the ballplayer is introduced as unshaven, surrounded by bottles of pills and booze and recklessly shooting his gun at a guest who knocks on his door. Woozy with painkillers, the Cobb character spins himself into a fury when he can’t get his biographer to describe him as “a prince among men.” The Free Press itself described its hometown hero as “dangerous to the point of dementia.” “No one came to his funeral,” is an erroneous but oft-quoted belief. At the same time, a small contingent of fans has argued that Cobb is misunderstood: that his bad behavior should be understood as a product of his time, and in context of the trauma of his mother killing his father in Georgia just days before he shipped north to play ball in Detroit. And, revisionists say, his good deeds — like using money he made via savvy investing to finance a hospital in Georgia and a college scholarship fund — have been unjustly unheralded. Cobb’s complexity has made it possible for fans to see in him whatever it is they want to see — and for writers, historians and filmmakers to emphasize the sides of Cobb they most want to present. It is not all that different from how the city of Detroit has experienced the public eye in the years since Cobb’s death in 1961. Just as Detroit’s best and worst characteristics have made it an object of fascination, Cobb’s story is one we just can’t drop. His talent alone would be enough to make him a legend — from the time he stole second, third and home on three consecutive pitches to the time he went on a 40-game hitting streak. But vile portrayals of the first player to be inaugurated into the Hall of Fame have lingered in our cultural memory for far more than his unmatched batting records. Charles Leerhsen, a former executive editor of Sports Illustrated, aims to square the outsized image of Cobb with the real-life man in the new biography, “Ty Cobb: A Terrible Beauty” (Simon & Schuster, $27.50). It’s the difference between “Ty Cobb” — who was portrayed in the 2004 book “American Monsters” alongside Charles Manson and John Wilkes Booth — and plain old Ty Cobb. As Leerhsen tells it, Cobb’s baseball career began at the same moment that America was ready to embrace a popular culture for the first time. Before baseball, entertainment was segregated by class: theater and horse-racing for the wealthy and bare-knuckle boxing matches and dogfights for the lower class. In 1905, Cobb’s first year on the Tigers roster, cinema was still primitive, so it was left to baseball to be one of the first arenas to bring together different kinds of people — men, women and children of varied means — for a leisure activity. And given his clever and consistent play, Cobb was a draw at every game. “You could argue that he was the first big celebrity in America,” Leerhsen told the Free Press. Baseball wasn’t the same game back then. The major league was young, with the first World Series played in 1903. Players weren’t well paid, and given that they made their living from a game and spent their life on the road, a whiff of disreputability hung over their heads. But over Cobb’s career, baseball evolved. Players began to sign endorsement deals for everything from vitamin tonics to cigarettes. By 1915, it had become a polished business. Numerous concrete-and-steel ballparks were built all across America, including Navin Field in 1912. For the man credited with playing an unusually intelligent ball game — he once found a way to steal home against the Yankees while the entire opposing team was crowded around the plate to protest an umpire’s call — this makes sense. But that’s not the kind of story about Cobb that gets repeated. Many vicious tales can be traced to sportswriter Al Stump, who collaborated with Cobb on his autobiography. After Cobb’s death, Stump wrote a lurid article for True magazine and later republished the biography. These versions, he said, were true to Cobb’s cruelty. The Tommy Lee Jones film was based on the second book; it was the Stump character that Cobb greeted by firing his gun. But as Leerhsen states bluntly in his biography, Stump’s renditions “contained too many inaccuracies to be useful.” Stump went so far as to accuse Cobb killing a man in Detroit in 1912, just hours before a game — a claim debunked in 1996 in National Pastime journal by former prosecutor Doug Roberts. And five years ago, an epic story by William R. Cobb (no relation) in the same publication detailed Stump’s memorabilia fraud: For years, he sold items that he fraudulently claimed were Cobb’s, including a shotgun he claimed was the one that killed his father. Stump even forged Cobb’s letters and diaries. “It’s unique that all the really bad stuff about Cobb started in 1961,” echoed Leerhsen. “That’s when he died. And it was all based on ‘new evidence.’ One sportswriter started an avalanche of lies.” With precious little film of Cobb, and living memory dying out, Stump’s take had little to counter it. So what’s the real story? In the case of the sharpened spikes, Leerhsen punctures the myth by describing how sportswriters contributed to it. At the time, there was intense fascination at the novel shoes worn by ballplayers. Describing a game that neither the sportswriters nor their readers had played in their youth in any organized fashion, the shoes looked “at once medieval and futuristic,” Leerhsen said, and so, they were prone to exaggerate their danger. But Cobb never sharpened his spikes. In fact, weary of his dirty reputation, Cobb tried to get the major league to require players to dull their spikes and have umpires inspect them before each game. Leerhsen’s biography also describes plenty of contemporary players and umpires who vouch that Cobb didn’t use his spikes to cut opponents. And it wasn’t as if his opponents, struggling to beat Cobb on one of his nine different slides, were wilting flowers. In 1958, Cobb rolled up the cuffs of his pants to show a New York Times reporter the scar tissue from infielders who pounded on him with their own cleats. “It was all part of the game,” Leerhsen said. What emerges is a clear-eyed portrayal of Cobb not as a tyrant and not as a saint. It showcases Cobb as a flawed and vulnerable human being who, after suffering a nervous breakdown his second season, came back to fearlessly embrace his talent in an era that was just discovering what it meant to love baseball. Considering that books like Stump’s “Cobb: A Biography” and the Tommy Lee Jones film were on the way, his concern was well-placed. “People really resist parting with (their preconceived notions about Cobb),” Leerhsen said. “They love the myth because it gives them someone to feel superior to.” That’s a conundrum that the whole city of Detroit can relate to. Contact freelance writer Anna Clark at annaclark.net. “Ty Cobb: A Terrible Beauty,” by Charles Leerhsen (2015): Leerhsen’s new biography draws on primary sources — including Free Press archives and the Ernie Harwell Sports Collection at the Detroit Public Library — to unravel the myths that popular culture has cultivated about the first superstar of baseball. 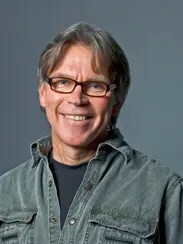 As the former Sports Illustrated executive editor, Leerhsen brings a journalistic eye to Cobb’s story. Winner of the 2015 SABR Baseball Research Award. “Cobb” (1994): Starring Tommy Lee Jones as a mean-spirited and drunken Cobb who wants his biographer to write only about the good stuff, this Robert Shelton film has been widely panned. “Hogwash!” wrote film critic Roger Ebert in his review for the Chicago Sun-Times. “My Life in Baseball: The True Record,” by Ty Cobb (1961): Sportswriter Al Stump ghostwrote Cobb’s biography, drawing from interviews Cobb gave in the last year of his life. But Stump later decried the story as a coverup and, 30 years later, he wrote a new version. “Cobb: A Biography” described the ballplayer as a narcissistic and violent monster. “Cobb” by Lee Blessing (1998): Debuting off-Broadway in 2000, this play showcases Cobb at three points of his life: at age 19, just beginning his Tigers career; in his early forties, struggling with middle age, and in his last years. It, too, spins a tale of Cobb’s nastiness. “With Cobb, to know him is to hate him,” wrote a Los Angeles Times review of the play in 2012. The Ty Cobb Museum: It’s not in Detroit; it’s in Royston, Georgia. And it’s not a stand-alone institution; it’s inside the Ty Cobb Healthcare System, a hospital financed by Cobb in memory of his parents. Dedicated to preserving a wealth of media about “the greatness of Ty Cobb,” the Cobb Museum also hosts annual vintage ball games against a team from the Shoeless Joe Jackson Museum.